Q: This title just fiction or is there some truth behind the story? This piece of the dark history about how the Ireland people was brutally treated by the British is like the Jewish Holocaust that have been repeatedly made into novels and films. My latest viewing of it was the TV series "Highlander" about how the Scotland people were so cruelly treated by the British. 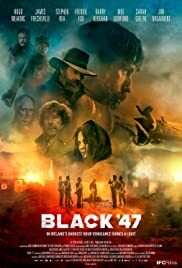 This 'Black '47" is one of the best films that I have viewed in late of this year. It's so thoughtful, dark, dreary, atrocious, cruel, bloody and sad; a mixture of unforgetable and undeniable heartless inhuman crime committed by the British Empire and its aristocratic society. 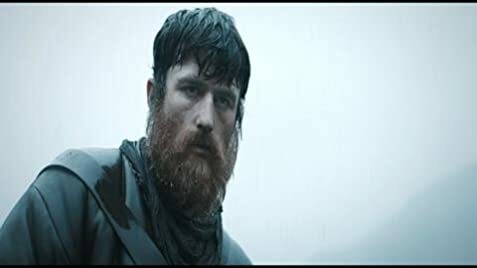 The whole film is well scripted, directed and performed by a bunch of A-list actors to support a not quite well known actor, James Frecheville, to play the leading "Fenny" role. There's no romantic moment at all in this film, only the horrible human sufferings. I just felt sad and numb when this film ended, but at the same time, would like to praise its seriousness of making this film.